If a day comes when you feel like the sun is too much or the drinks and parties give you only headaches and hangovers. Then you need to clear your head by going away from the swarm of Homo sapiens, so take a look at this list and off you go. These destinations and activities in South Goa which we are about to show are offbeat and are not yet tainted with too much human footprint. Milky waterfalls, food which will make you a glutton, seducing virgin beaches, history which will give you goose bumps and a flight to see the sun, sand and the beaches all at once, South Goa is a treasure chest for the ones who crave to take the road not taken. 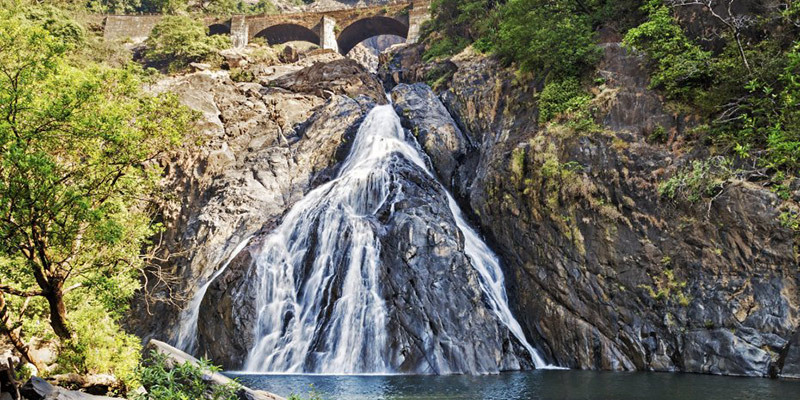 Dudhsagar, as the name explains, is a beautiful four tiered waterfall which looks like flowing milk. Situated on the banks of Mandovi River, it lies on the Goa – Karnataka border. It is at a distance of 60 km from Panjim and is one of the tallest waterfalls of India. 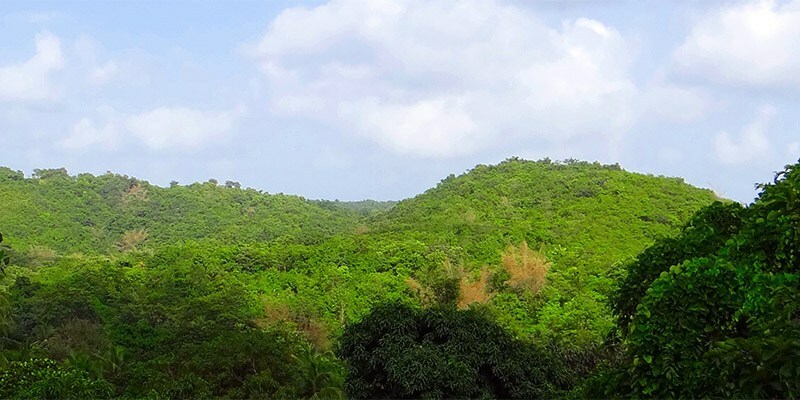 The area is rich in flora and fauna and its beauty is in full swing after monsoon. The smell of wet soil and the rich biodiversity soothes the soul. The waterfall is ethereal and one feels transcended into an entirely different world. The beauty is such that it even got featured in the movie Chennai express and won hearts of the audience. You surely wouldn’t want to miss out on this one. You can swim beneath the waterfall or just sit on the rocks admiring its beauty. Take your friends along and you will remember this visit forever. Goa has always been a favourite among the youngsters. Not only does it give you the best beaches of the country but also gives you the freedom to be yourself. The best way to explore Goa is on a personal scooter/bike. For the convenience of tourists, the place offers n number of rentals. The rental shops are available near most of the hotels. Panaji has numerous of them, the famous ones being B&G travels and holidays, Baretto car and bike rentals, Neliza tours and travels. The standard rent per day for a gearless scooter is rupees 500 and for a bike is around 800. However the prices may soar high in the peak season. It is mandatory to have driving license and an identity proof like pan card or passport to rent a vehicle. Before you start, make sure to check the documents of the bike and take a test drive to check its functioning. Good food makes a good mood. South Goa has a number of outlets to make your mood good by offering some authentic Goan delicacies. Goan chefs are a pro in non vegetarian food and their seafood is unparalleled. Goa is also the true king of mocktails and breweries. The most popular drinks besides beer are Port wine and spirits like arrac and feni. To name a few of the most happening restaurants in South Goa are Martin’s corner, Britto’s And Nostalgia. 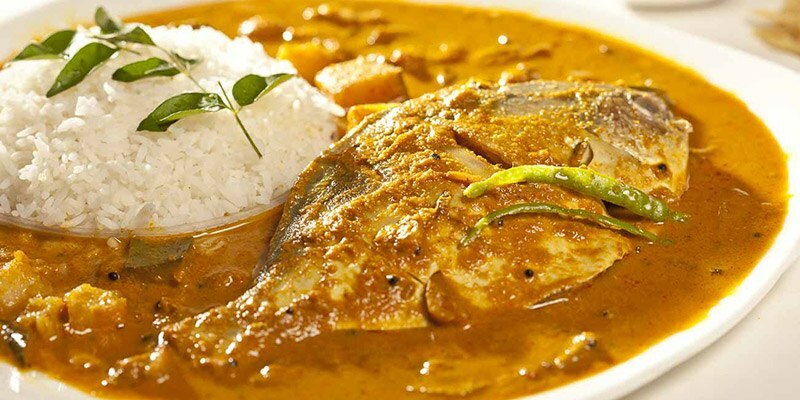 Martin’s corner is a multi cuisine restaurant with specialities like fish steak, butter garlic prawns, chicken xacuti and authentic Goan chicken curry. It also has live music that adds to the charm of this place. Britto’s has been a popular choice among the masses since its inception in 1961. Its famous sea food platter includes prawns stuffed with crabs, mussels and shrimps. It often also organizes barbeque evenings and karaoke nights. Nostalgia takes you back to the Portuguese times with antique Goan memorabilia like statues, baskets and miniatures in their house. Their Goan cuisine is one of the finest and includes Mutton xacuti, Goan prawn curry and a unique passion punch mocktail. Already drooling, aren’t you? Want to grab moments of exhilaration away from the hustle and bustle of the city? There’s a perfect place for this, secluded from the rush and enveloped in the best of nature. Butterfly beach, as the name says, is a hidden gem with abundant fluttering butterflies. You can reach this place by taking a boat at very moderate charges. No night stay is permitted here so make the best of your day visit. 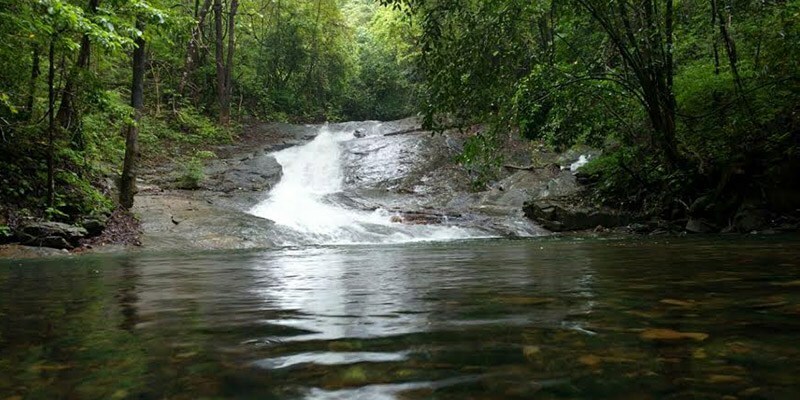 The adventure junkies can also trek to this place from Margao, covering a distance of 37 km in 2 hours, where you come across the wilderness of Goa. The place is arch shaped and you’ll come across some exotic species of butterflies. The view is surreal and it feels we’ve like gone into a fictional world. Also during low tides the beach is clustered with crabs, goldfishes and sea urchins. You will also spot the dolphins doing acrobats, which is a rare sight. The sunsets that we always dream of watching with our beloved comes to life here. The exotic place is perfect for sunbathing, rock-climbing or even just a relaxing stroll where the waves kiss the feet. Need anything more for an Ideal getaway? When you lose yourself in a surreal natural sight, you find yourself. 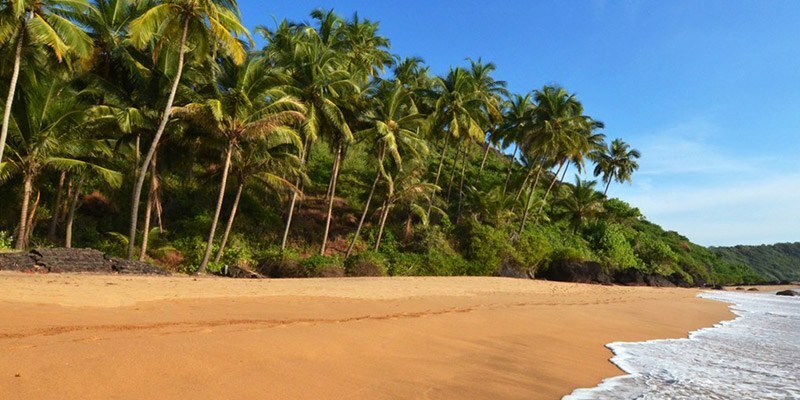 A hot balloon ride in Goa will give you the never before views of the stunning Goa. From the height that it attains, your eyes will behold a sight you won’t forget ever- a perfect combination of sun, sand and sea. This one in a lifetime experience should definitely make to your to-do list. 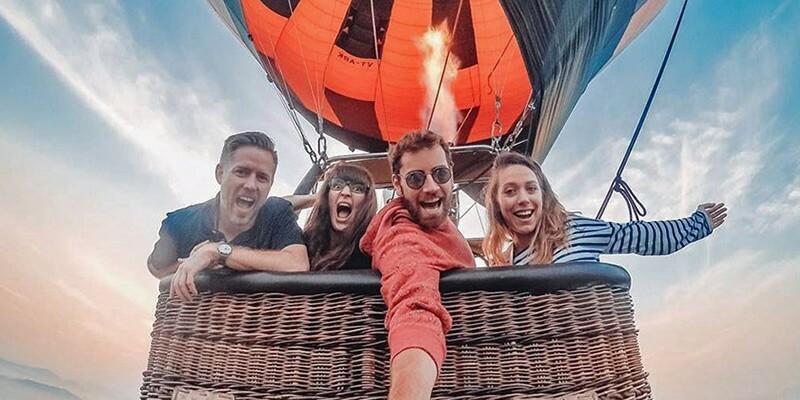 The government of Goa has collaborated with hot air balloon companies to provide the tourists this wonderful experience. The best part about this activity is that it does not require any physical fitness. Except children below the age of 5, all age groups can go for a ride. The sensation of being above the ground and feeling the wind is incredible. You’ll have a perfect panoramic view so don’t forget to take the camera. The rides are organized in morning and evening to avoid the scorching heat of afternoon sun. The flights are weather dependent so the best months for it are October to March. There are also sunrise special flights which you surely wouldn’t want to miss if you’re with your partner. Hidden in the midst of lush green forest of Bhagwan Mahavir wildlife sanctuary, the Tambi Surla Mahadev Temple is the oldest temple of Goa. 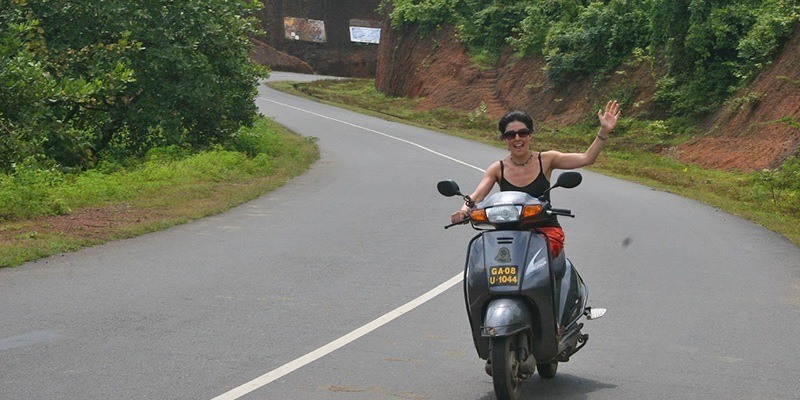 At a distance of 65 km from Panaji, you can hire a cab, auto or even rent a bike. The temple is made of basalt stone and is made in Jain style. The area around displays the pure untouched nature due to limited access of people to visit. The architecture has finesse and you’d be spellbound by the intricate work of artisans back then. There are figures of Lord Shiva, Lord Vishnu and Lord Brahma and people throng here with immense enthusiasm on the occasion of Mahashivratri. The serene Surla River flows at a few steps from this temple. The white water gushing through the rocks truly rejuvenates the soul. The top of the temple is still incomplete and has much folklore associated with it. Also there is a solid piece of lotus shaped carved out of the ceiling. Overall, this hidden architectural marvel at the base of Western Ghats is a must visit if you want to experience something out of the box in Goa. Parties have always been the prime reason why everybody loves Goa. The relaxed vibes of the beaches attract people from all over the globe. But what many people miss on is exploration of the flora and fauna of Goa. The jungle book is one golden opportunity to avail if you are a nature lover. This adventure gives you the best fun filled package. At a distance of a mere 500 meters from Kulem Railway Station, it is adjacent to Bhagwan Mahavir wildlife sanctuary and is well known for the plethora of activities it offers. The unique experience takes you through the spice plantations, the fragrance of which is something you’d never get in the towns. You can go on an elephant ride or take a bullock cart ride to explore the area. For the hidden chef in you there is a variety of authentic cuisine that they serve and you can also learn the traditional techniques of cooking. The traditional village visit will make you feel as if you’ve gone back into the era of simple living. There are mud huts and all of them have been maintained very well. The jungle book is an ideal place to rejuvenate your soul, away from the crowded beaches and city lights. A must visit for all the Air Force & Navy fans, the naval aviation museum stands with glory in Vasco da Gama. This military museum is one of a kind in Asia and it feels like you’ve walked into a history book. Inaugurated in 1998, this museum preserves the history and legacy of evolution of the Indian Navy for the new generations. It displays all the significant parts of our naval force that helped us win wars and breathe in an independent nation today. It has a magnificent display of 15 historic aircrafts like Hawker Sea Hawk and HAL Chetak. It’s no less than a dream for patriots to see these fighters live. It has details of all the wars these aircrafts were a part of, also explaining the roles they played. It houses old photographs showcasing the gone and surviving brave men of the hard times. It also has a scaled model of aircraft carrier INS Viraat. All these factors make it popular not only among children, but also the youth and kids from educational institutes. To relax during this exciting tour, they have a souvenir shop named cockpit cafe. You’d not only be delighted by the delicious snacks but also be amazed by its excellent management. There is a mini theatre Aviaflix. It shows documentaries and short movies about the history of naval aviation. You’d b be enthralled to see the clips which are shown every hour. 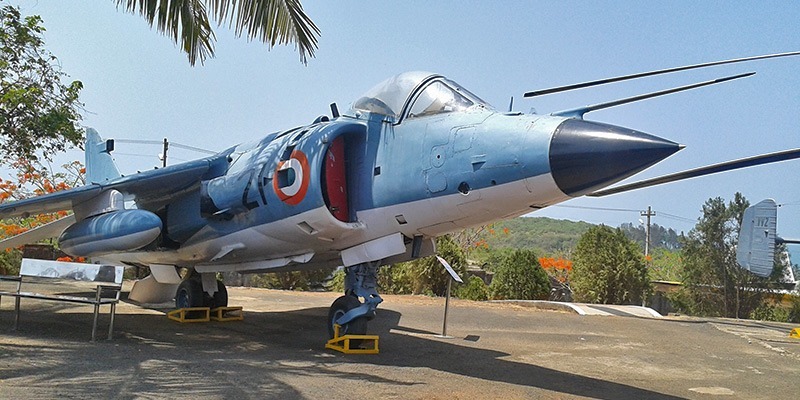 The naval aviation museum on a sightseeing trip in Goa gives you an experience like never before. For that peace of mind you’ve been longing for, the Netravali wildlife sanctuary awaits you. It is the newest sanctuary in the list of the current 3 sanctuaries. With the lush green deciduous forest, this sanctuary comes in its full glory in the months of October to March. It has Bhagwan Mahavir Wildlife sanctuary to its north and Cotigao Wildlife sanctuary to its south. The nearest airport is the Dabolin airport which is 65 km away and the nearest bus stand is the Margao bus stand. 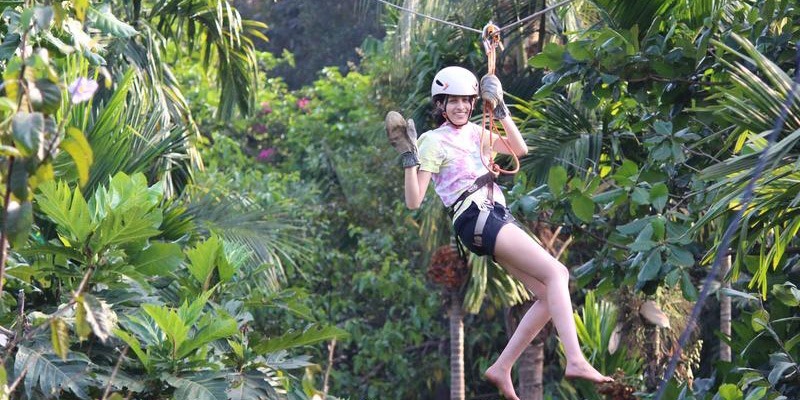 It’s a perfect destination not only for nature lovers but also the hidden adventure freak in you. Netravali Wildlife sanctuary is an excellent option for rock climbing and rappelling. Goa has excellent rock faces for beginners. You should have a good forearm workout before starting with it. You can do this activity alone or with a fit companion. Make sure you have good gears, strong helmet and tight knotted ropes. The evergreen forests are a house to many rare animals, Black Panther being one of them. The sanctuary is the abode of two enticing waterfalls named Savari and Mainapi. 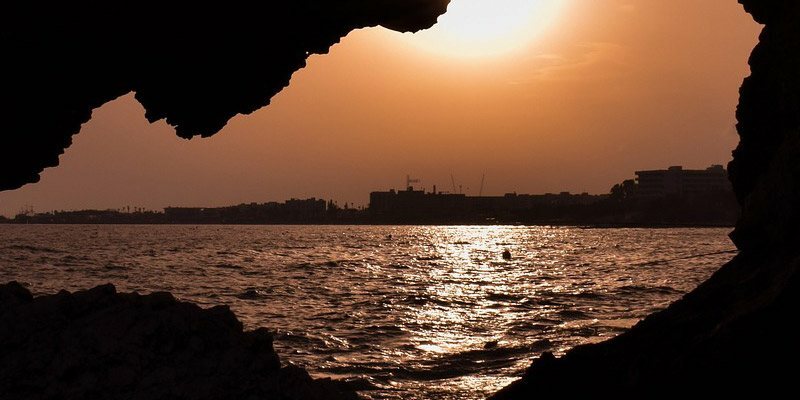 You can swim under it, have the best bath of your life or simply relax on the nearby rocks and adore its enigma. Goa is not just about the beaches and the never ending parties. It has so many unexplored and underrated places that you might not even expect. One such place is the Rivona caves. This place has a quaint charm that unfolds when you visit it. It is situated in Rivona, at a distance of 5 km from Ponda. It is well connected with Quepem and Margao. There’s a ‘pitha’ carved out of laterite which is believed to be the seat of the ‘preacher’ or the teacher. The paths are very confusing and you might end up being muzzled. It is advised to go in a group or with someone who is well acquainted with this place. The aura of the place is such that you’ll feel you have transcended into the past and are unfolding the pages of a history book.